We do not collect any personal identification information from users, except that provided by the users when they send emails to IP Rings through its ENQUIRY forms, CONTACT US forms, or the form for career related enquiries in the PEOPLE section of the site. The information supplied by dealers or other business associates, including intending or potential dealers or business associates, is intended for better classification of your organization’s business profile. Users pursuing career opportunities, internships or training may send in their resumes to: hrd@iprings.com with a brief note on the nature of position they are seeking and why they consider themselves suitable for the position. By sending your resumes or contacting us via message, email or phone, you are authorizing us to share the same with our affiliate companies, if deemed appropriate. Users may visit our site anonymously. We will collect personal identification information from users only if they voluntarily submit such information to us. Users can always refuse to supply personally identification information. We may collect non-personal identification information about users whenever they interact with the site. Non-personal identification information may include the browser name, the type of computer and technical information about users means of connection to our site, such as the operating system and the Internet service provider utilized and other similar information. We may use the email address to respond to their inquiries, questions, and/or other requests, promotional and informational purposes. We adopt appropriate data collection, storage and processing practices and adequate security measures to protect against unauthorized access, alteration, disclosure or destruction of your personal information, username, password, transaction information and data stored on our site. We do not sell, trade or rent the personal identification information of users to others. We may share generic aggregated demographic information not linked to any personal identification information regarding visitors and users with our business partners, trusted affiliates and advertisers for the purposes outlined above. However such information on the site may be disclosed to statutory or other governmental authorities, if required by law. Such information may also be disclosed upon request by any law-enforcing authorities. Any inappropriate, obnoxious or illegal conduct by any user or set of users, including suspected criminal activity will be reported to law-enforcement and/or other relevant authorities, in which case such information may also be disclosed in connection with such report or complaint. Users may find content on our site that links to the sites and services of our partners, suppliers, advertisers, sponsors, licensors and other third parties. We do not control the content or links that appear on these sites and are not responsible for the practices employed by websites linked to or from our site. In addition, these sites or services, including their content and links, may be subject to constant change. These sites and services may have their own privacy policies and customer service policies and users are advised to peruse and verify the same. Browsing and interaction on any other website, including websites which have a link to our site, is subject to that website’s own terms and policies and IP Rings is not responsible for any consequences whatsoever that may occur as a result of doing so. IP Rings does not endorse the products, services or credentials of such third parties and users may deal with them or not deal with them at their own entire discretion and risk and IP Rings bears no responsibility in that regard whatsoever. 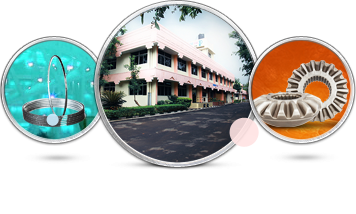 The information relating to IP Rings’s products, product images, specification and availability provided on IP Rings’s websites, digital and social media platforms, are subject to constant revision, upgradation based on its policies and current product-line, and may not reflect the updated information. You are advised to contact hrd@iprings.com or our regional sales representative. Products listed on IP Rings’s digital platforms may not be available in certain geographies and may be enhanced or discontinued without any prior notice. IP Rings does not verify, endorse or approve any information relating to itself, its products, their price, specification, availability etc. provided by third-party on any platform whatsoever, including websites, aggregator sites, social media platforms, RSS feeds, instant messaging platforms, non-digital platforms – print media, trade journals, and publications etc. It is hereby made clear that no information derived from such third-party shall be treated as accurate and IP Rings shall not be responsible for the same in any manner whatsoever.